TYSONS CORNER, VA, November 6, 2018 — A joint venture between PAE and AOC has tapped a business unit of United Technologies Corp. (NYSE: UTX) to supply an optical and laser designation payload for the Resolute Eagle drone, ExecutiveBiz reported Oct. 9. PAE ISR said Oct. 8 UTC Aerospace Systems will provide the TASE400 LD featuring onboard video processing functionality and global positioning system/inertial navigation system to support the operation of the Resolute Eagle, an unmanned aircraft system that comes in both standard and vertical takeoff/landing configurations. 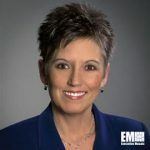 Beth Beach, vice president of business development at PAE ISR, noted that the company is one of the first to equip its UAS platform with the laser designator technology.